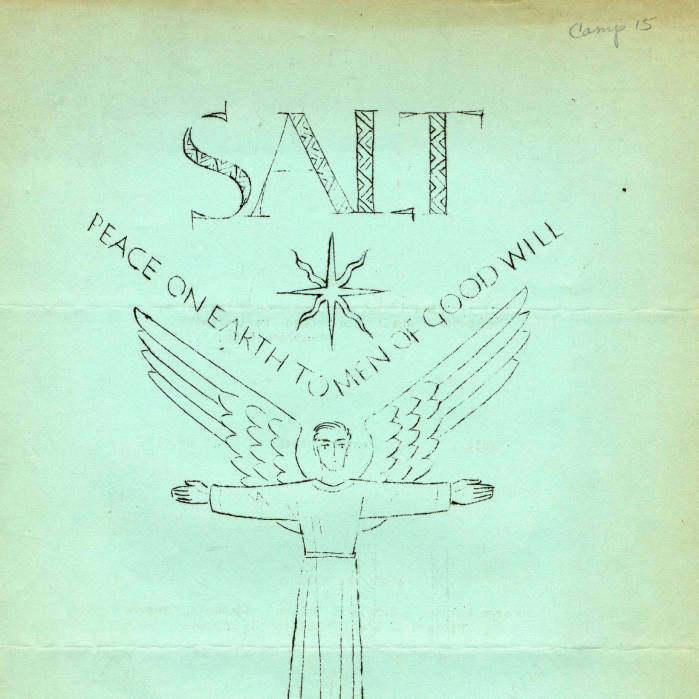 Salt was the camp 15 newsletter published by the men from January to April 1942. CPS Camp No. 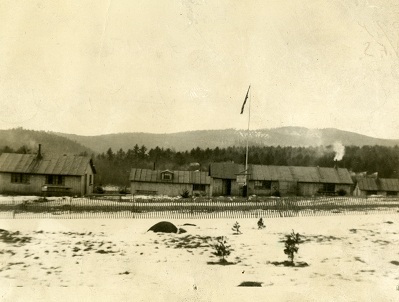 15, a Forest Service base camp located in Stoddard, New Hampshire and operated by the Association of Catholic Conscientious Objectors, opened in August 1941 and closed in October 1942. CPS men cleared fire debris left by the New England 1937 hurricane, fought fires and improved fire fighting systems. CPS Camp No. 15 was always a very small base camp with a maximum capacity of fifty. It opened with the arrival of the director and two assignees. Two men were “on the way,” and ten more were expected by the end of August. In February 1942 the population was thirty-one. As one of the few Catholic camps in the CPS system, most of the men in the camp were Roman Catholics, who comprised about one per cent of the overall CPS population. Later, in order to help the camp increase in size, some men transferred in from Friends camps. When the camp closed, the men transferred to CPS Camp No. 54 at Warner, New Hampshire. Early on, the men cleared fire debris left by the New England 1937 hurricane. Some men became specialists in telephone maintenance, including repairing lines to ranger stations and stretching new lines for system improvement. Some staffed lookout towers and participated in fire fighting. Many of the men at Stoddard, as at many camps, found the work frustrating, and work schedules inefficient. Without sufficient financial support, the men performed duties to provide much of their food and to heat the camp. Severe winters contributed to their discomfort and frustrations. Not only was the camp isolated in the forest, but also ACCO camps lacked support from the traditional Catholic organizations. Unlike the experience at the Friends, Mennonite and Brethren camps, few from the church agencies visited the camp. Leaders of Civilian Public Service worried about the men at Stoddard. In fact, they supported the transfer of some men from Friends camps into Stoddard to increase the numbers. In addition, some of the men in Brethren camps would forego meals and donate the money saved to Stoddard. The men struggled with camp governance, often unable to reach consensus. The camp director, when announcing the move of the men to Warner in the November 1942 issue of the Catholic Worker, acknowledged some of the difficulties. We have our troubles here. Consider our circumstances: 45 men forced together for a year in a crowded place doing what we think is comparatively unimportant work and living in what for most of us are pretty rude quarters and at a pretty cold temperature. The men published a camp paper called Salt from January to April, 1942. For information on CPS Camp No. 15 operated by the Association of Catholic Conscientious Objectors, see Gordon Zahn, Another Part of the War: The Camp Simon Story. Amherst, MA: University of Massachusetts Press, 1979.